City House Investors - new website, new direction! We were approached by the client, who are looking to implement a new online marketing approach for their new Financial Investments business. We are now implementing a new "Yorkshire" themed website, emphasizing the clients refreshing, down to earth, transparent approach with the emphasis on ongoing performance. The new site will be ready to launch in October, with sophisticated online forms and supported by a You Tube video and Google Adwords campaign. Grimebusters, more bang for your marketing buck please"
We are delighted to have been appointed by Grimebusters to help them with their Digital Marketing to give them "more bang for their marketing buck online." We have already created a custom Digital Dashboard for the client, which quickly identified that the greater part of new orders were coming from existing customers directly or via Google Search and that Google Adwords was not cost-effective. Greater emphasis is now being placed on local SEO and on e-mail marketing and in future Social Media. We are delighted to have been retained to help Oli and Iain from Eynsham Cellars https://www.eynshamcellars.com/ build their customer base both living locally and also driving past their independent wine merchants in Eynsham, Oxfordshire. The campaign will include in-store and online incentives, email marketing, wine tastings and locally focussed social media. We hope to enjoy a tipple or two on the way!. We were asked by the management team at carbon-cleaning.co.uk, to create 2 bespoke Digital Dashboards and to provide monthly reporting for their team of regional technicians. The dashboards are designed to a) track combined expenditure multiple campaigns on Google Adwords, Bing and Facebook and b) match expenditure v Carbon cleaning bookings and telephone enquiries. The result, for the first time the client can see the financial performance of each of the geographic regions and measure the impact of their marketing campaigns. Working with the client to pin down their unique positioning within the international Fintech industry, their new website is aimed at innovators who wish to see their IP turned into revenue. 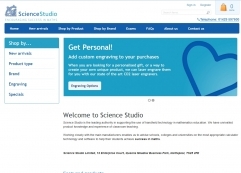 Just completed the upgrade of the sciencestudio.co.uk XCart 5 site on behalf of Purple Frog. This involved adding a new slideshow, megamenu and custom engraving feature. Net Impact Vision have been working with Emarsys, leaders in B2C Market Automation since 2015 and are delighted that the relationship will be extended for another 2 years. We have successfully integrated Emarsys along with Mailchimp into our Digital Marketing Dashboards service, enabling our clients to compare ROA with other channels. Harvey has been asked once again to be a "Dragon" for the Young Enterprise Dragons Den event to be held at the Aylesbury Vale Academy on the 14th November. There will be teams from four teams from local schools presenting their businesses to the Dragons, an event which will be attended by the Town Mayor. We are long time supporters of Young Enterprise, having been a Business Advisor working with the Henry Floyd school in previous years as well as other events. We have just completed the successful implementation of leading Affiliate Marketing company AWIN across 3 websites. This opens up enormous new "channel" opportunities using with online publishers utilising discount codes and cash back incentives, as well as bloggers and incremental advertising opportunities. With AWIN now operating in Germany, this will help with the clients expansion plans into new markets. This integration was achieved using Google Tag Manager, so that the additional code required would not compromise the loading speed of the the website. 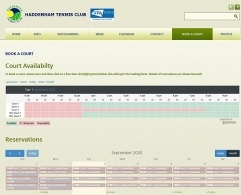 Hothair & Naturalimage - Online Report Center now running! 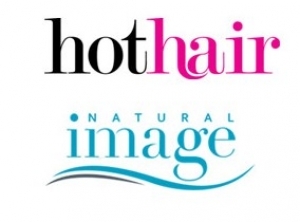 The online report center has been in operation for Hothair and Natural Image since August and is proving an "indispensable" tool for managing Digital Marketing Campaigns. Now with complete visibility, revenues generated from Google Adwords, Bing, Facebook, Email and Affiliate Marketing campaigns are available in REAL time. This had made it possible to adjust campaign expenditure in response to the performance of bi-weekly campaigns and to switch budgets to improve ROI. With bespoke reports for Senior Management, Finance and the Marketing Department and the budget cycle upon us, the necessary information for is available at the clients fingertips, saving huge amounts of time and enabling better planning. We are delighted to be working with Dropit21.com, a 21-day online weight loss, inch loss, detox & wellbeing programme. Based on healthy ‘clean’ eating & 10 minutes of exercise per day, with the objective of growing the business over the next 12 months and beyond. Having set up a Digital Marketing dashboard, we were able to demonstrate which parts of their online marketing were working and which were not for the first time and a re-appraisal of their Digital Marketing plan for 2018. We look forward to growing the business together. While working on a photo assignment for Langley's gin at Badminton Horse trials earlier this summer, Elliot met Rebecca Green who had been considering upgrading her website. Having been impressed by Elliot's photography we put together a package of web development and professional product and event photography for her new website. We decided to go Wordpress for her new site, utilising a visually impressive template with a "parallax" effect that allowed us to fill the website with photos of her delicious dishes and the fantastic events she caters for. The results we believe are a truly impressive site and lots of compliments! 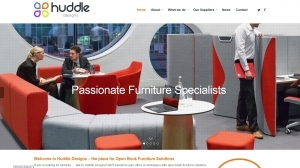 New Huddle Designs Website launched! 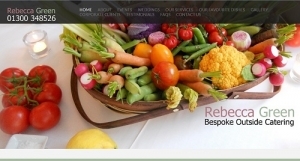 Net Impact Vision have developed a new Wordpress site for furniture supplier Huddle Designs www.huddledesigns.co.uk to launch their furniture consultancy business. We previously helped the company with their digital marketing campaign directed initially via to headmasters with a "back to school" email marketing campaign this September, accompanied by SEO and a Google Adwords campaign for furniture buyers everywhere. Since then we have devloped their e-commerce site robustdesigns.co.uk and are working on further developments to be unveiled in January 2018. Astek Dental - Dentistry to put a "smile on your face"
Sneak preview of the Directors cut of our new web video for Askek Dental. Ailsa Pocock introduces her unique service, with both dentists and dental technicians onsite. Same day service for denture repairs, her friendly team puts patients at ease and in no time puts the smile back on the faces of their clients. Net Impact Vision's promo film for Stoke Mandeville Spinal Trusts "Wheels at Work" campaign will be launched at the Aylesbury Vale Business Awards, held on Friday 23rd October 2015. We were pleased to support this fantastic charity which raises money to help people with spinal cord injury get back to work and to raise awareness of difficulties faced whilst at work by people in wheelchairs. If you would like to make a donation click on the "Just Giving" button below. 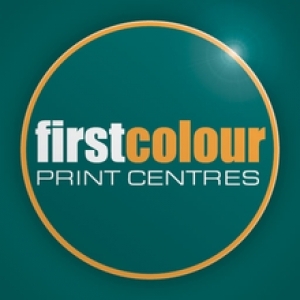 Great meeting today with Cliff ~ Finn - Owner & Managing Director of First Colour. Interesting concept for a circular projection on the front shop floor window! This project should be great to work and a good excuse to discover the technical 'In's' & 'out's of a fully-functioning Professional Digital Printing business!! The team are very much looking forward to taking film art & concept to the next level!! Elliot Linke invited back to Mallorca after successful Film Shoot to be the Official Photographer @ Jeremy Harbour's 40th Birthday Party! 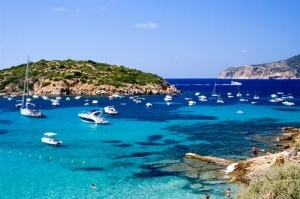 Once again travelling back to the beautiful Palma De Mallorca, Elliot joined the beautiful celebrations of Jeremy Harbour's 40th! In which there were cocktail artists, live acts and street performers, back dancers and a whole host of truly brilliant people from all walks of life! It is with great pleasure to announce that after steadily choosing from 99+ applications Net Impact Vision & Directors Andrew Sewter & Thomas Horton have made the decision to employ the very talented Devora Neykova as the Company Video Representative! Massive thanks & appreciation to all other actors who applied for the job role! best of luck with your future careers & endeavours! 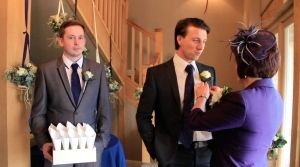 'You scratch my back I'll scratch yours' - Another production with Bob Hayward & Be More Effective Ltd.
After meeting all the family and friends of Mr. Hayward at his Daughter's Wedding, Bob has recently given an honest heartfelt testimonial reflecting on the Film Production & crew that day! It can be viewed on our testimonial page if you follow the headings. 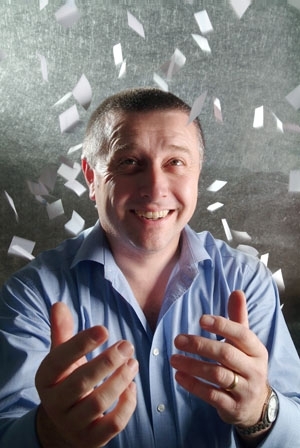 In return Net Impact Vision produced a short film to promote his Business - 'The Key Elements To Becoming More Effective' - By Bob Hayward, a remarkable insight into creating personal improvement & sustainability! 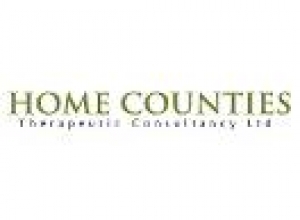 Home Counties Therapeutic Consultancy are well on their way to becoming a highly successful Specialised Consultancy Company, with the New Logo designed and the New Office Space in Temple Square Aylesbury, this company is looking better than ever before!! Net Impact Vision offer commercial advice and photographic coverage of the ever growing brand that is - Home Counties Therapeutic Consultancy! 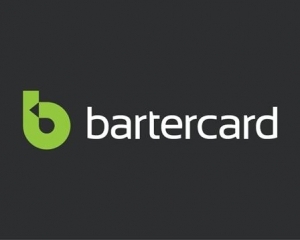 Net Impact Vision Produce Company Rebranding Film for Bartercard - World's Largest Business To Business Trade Exchange! Richard & Amanda celebrated a wonderful day together within the beautiful scenic landscape that is The Cotswolds. The whole experience was a delight & thanks to Net Impact Vision the happy couple have a 40 minute film that they will remember forever! The film crew divided into two and captured both the journey of the Brides & the Groom, from the morning preparations, getting ready & preparing the rings! To the brides Maids readying the Bride! All music was bespoke and and taylor for the film, speeches in full through to dinner and the first dance! A Magical memories that will stay in their hearts forever! Halloween Studio Shoot with Heather & Imogen! 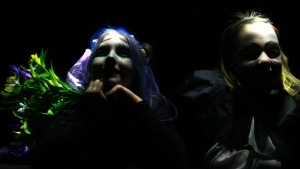 A Great shoot last night with the dynamic-duo Heather & Imogen showing off their amazing Halloween costumes with frightful and fearful face paints! Always a joy working with such friendly & energetic kids!! 6 Product Demos filmed in one afternoon! Miss Cayzer arrived at our Slave Hill Studio, loaded with all the products - A rapid two-hours later we had successfully filmed a series of product demonstration films outlining & detailing what's hot what's not for the new winter season addition!Edited, formatted, uploaded and embedded to their company website (www.hothair.co.uk) within 24 hours!! Now that's quick! !We look forward to shooting next Spring & Summer ranges in 2015, with exciting new product launches from the likes of Paula Young & Ellie Goulding; a full head of hair has never looked so healthy!! !